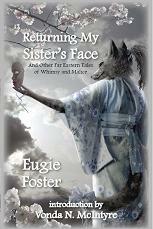 A few folks have asked me about the availability of an e-book version of Returning My Sister’s Face. I’ve actually been thinking about that and e-books in general for a while. It’s hard to avoid all the industry fuss and furor about e-books, their pricing, and electronic rights in general. Until I got my Droid, e-books hadn’t made much of an impression on me as a reader. I had my laptop and have been reading a lot of fiction, primarily short stories, in various formats for years now: PDF, Word/RTF, HTML, and epub mostly. And while I d0 prefer the convenience and portability of electronic files, I wasn’t sold on it as the evolution of printed books. 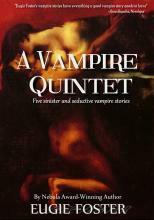 It was just a convenient medium that had its advantages and disadvantages–the primary disadvantage being that even though my VAIO is teeny (11.1″ screen, 2.8lbs, less than an inch thick), I couldn’t just pop it out of my purse or backpack and flip it open like I could a good ole paperback. I had to be somewhere where I could set it down and boot it, a process that took a minute or so. And it was too awkward to juggle while standing. While its size made standing use possible, unlike my behemoth of an HP laptop which is clunky as an anvil and nearly as heavy, I was always too afraid it would get jostled out of my hands or I’d fumble and drop it. And then I got my Droid. I take it everywhere with me. Even if it hadn’t become my sonic screwdriver, which it has, it would still by my phone. It’s small, light, and has a phenomenal screen resolution. The resolution is the key part. I always figured that reading on a phone-sized screen would be painful. But my Droid has taught me that it’s not the size of the letters on the screen that dictates eye strain; it’s their resolution. And reading on a 3.7″ screen is no hardship at 480 x 854 WVGA with 400,000 pixels. I have both the Aldiko and Kindle for Android e-reader apps loaded, as well as Adobe’s Android PDF reader and Documents to Go for Word documents and an alternate PDF viewer. And now I am an e-book convert. I can and do pop out my Droid while I’m standing on the MARTA platform waiting for my train to compose emails, rattle off a couple paragraphs on The Stupid Novel, and yes, catch up on my reading. And if I find I’m not in the mood for the novel I’m in the middle of, I can bring up that chapter in Freud’s Dream Psychology I’m researching or re-read one of my favorite Grimm’s fairy tales, or download something new. So yeah, I want to make RMSF available as an e-book. I’m discussing it with Vera at Norilana to see if it’s possible to have it available before the end of the year. Tagged droid, ebooks, returning my sister's face. Bookmark the permalink. Also, people who bought your paper book would probably love to get a kindle version so it’s always with them on the plane or during lunch. Aw, shucks, thank you so much! 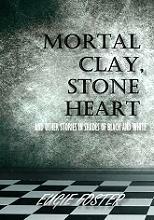 And thank you as well for providing encouragement to get the e-book out ASAP. Jenna: Your note was just the nudge I needed to get the ball rolling :). Vera: Was this an email in addition to the one you sent on Thursday? I got that one! I’m researching how the Amazon Kindle format works, and I’ve got a couple follow-up questions for you, but my folks are in this town this weekend, so I probably won’t have time to get my thoughts in order until next week. Let me know if I can help any. Nope, that was the one. Just wanted to make sure it got to you. I am getting too many emails bounced this week… Take your time. I am just finishing up The Perpetual Calendar of Inspiration upload and release, so will have the other material we discussed to you asap.